Apple's wearable is selling far more than the competition. According to the research firm Canalys, Apple is selling a lot of Watches, and shipments have reached 7 million units. Of course, the number of shipments of a product does not mean the product is selling well, but given the far smaller number of locations that the Apple Watch can be bought at, it seems as though shipment numbers are possibly a better predictor than usual. In the past two quarters, the Watch has seen 7 million units ship, and this is higher than all other smartwatch shipments in the past five quarters. This is really impressive given the fact that the Apple Watch is a fledgling wearable while other manufacturers are already starting to release their second and third iterations of a smartwatch. Apple is clearly interested in keeping this lead over other competitors, and have recently offered new and styles, colors, and combinations to be made. 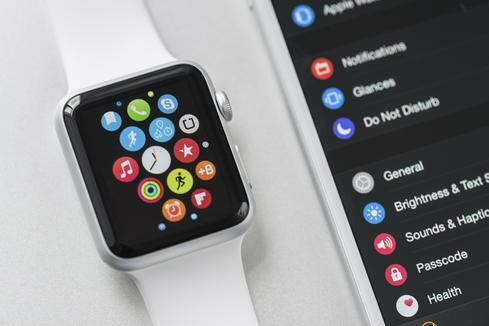 Moreover, WatchOS 2 made some key improvements to the wearable software, including alarm clock mode and tetherless wifi connection. The Cupertino-based technology company still has not offered any information on the sales of the Watch, but comparing the shipment numbers still can give a rough picture of whose product is selling the fastest.